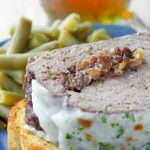 Thank you to the Ohio Beef Council for sponsoring my recipe for Slow Cooker French Onion Meatloaf. As always all opinions are mine alone. 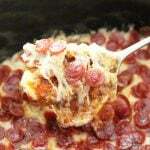 October is the month for officially celebrating your slow cooker – it’s called Crocktober! 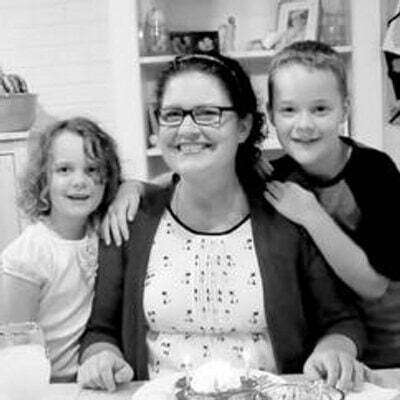 I personally celebrate my slow cooker throughout most of the year but there is something about the leaves changing colors, the cooler temps and the shorter days that really puts me in the mood for slow cooked comfort food. Meatloaf was the one food I craved way back when I was pregnant with my son and so if asked to choose what my favorite beef comfort food recipe is – it would be meatloaf. 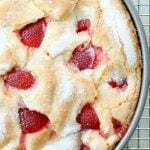 So simple to make and boy are there a lot of varieties! I usually bake a meatloaf with a sweet ketchup sauce on top but when thinking about converting a meatloaf recipe for the slow cooker I decided I wanted to stuff it with something. Cheese seemed like it would get lost in the middle. I’ve tried making cheese stuffed meatballs before and was less than thrilled with the final product. Caramelized onions though hold up to the baking and provide a slightly sweet and yet savory filling for the hearty meatloaf. Since my favorite way to eat caramelized onions is usually in a French onion soup I decided to top my meatloaf with a healthy dose of cheese and brown it a bit under the broiler just before serving. 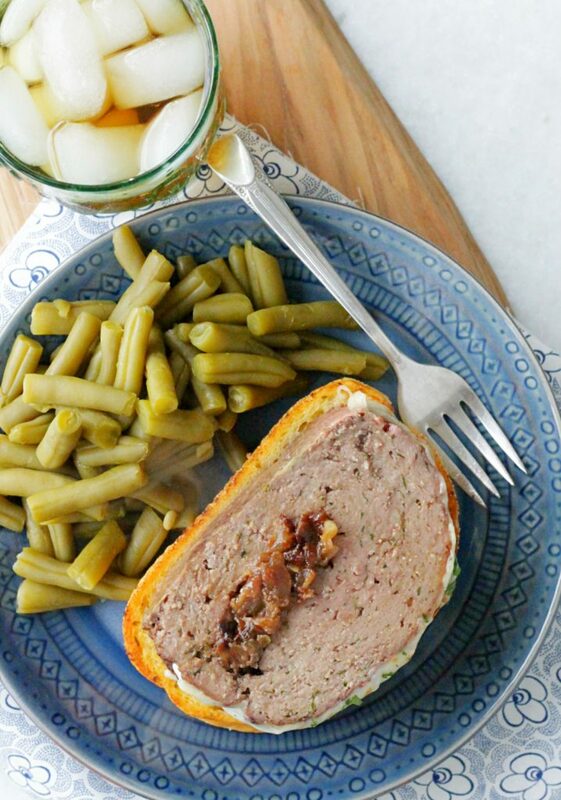 This meatloaf bakes while you are otherwise occupied with work or errands. The slow cooker adds extra moisture while baking, preventing a dried out meatloaf. The preparation is a little different than an unstuffed meatloaf baked in the oven. My 6-quart slow cooker is 8-inches from side to side. So I measured a piece of parchment paper 8-inches wide by about 14-inches long. Once I’d mixed the ground sirloin I spread it in an even layer and then topped the lower half with the caramelized onions. Then I folded it like a business letter (in thirds) to seal the onions in the middle. The meatloaf bakes in the slow cooker on a parchment paper lining that overhangs the sides providing you “handles” for easy removal. Once the meatloaf was cooked through (16o degrees) I placed the meat and parchment paper onto a baking sheet, topped the meatloaf with shredded mozzarella and broiled it for a few minutes. 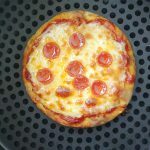 I personally served each slice on top of crusty garlic bread but you could serve it with mashed potatoes or even cauliflower “rice” for a low-carb option. My meatloaf recipe uses two pounds of lean ground sirloin provided by my local Ohio beef farmers. 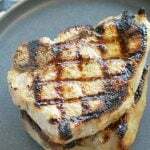 There are 17,000 beef farming families in Ohio, and 98 percent are family farms. You can virtually meet Ohio beef farmers who may live near you at www.OhioBeef.org. Ohio beef farmers are committed to providing excellent care of their animals, protecting the environment for future generations and to producing safe, healthy beef. U.S. beef farmers have improved sustainability by five percent in the past six years to help feed a growing world population. 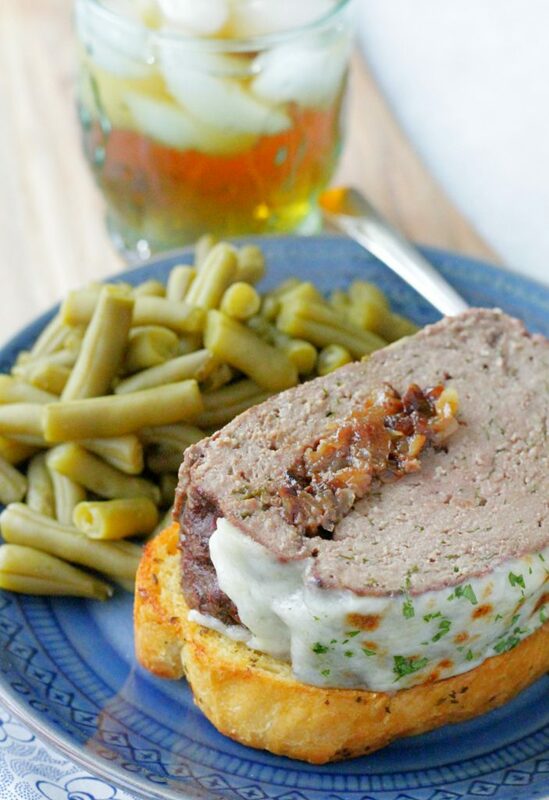 So what do you think of my Slow Cooker French Onion Meatloaf? 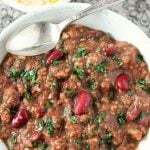 It’s hearty and so full of flavor. Plus it’s fun to change up old favorites sometimes. Do you like meatloaf? 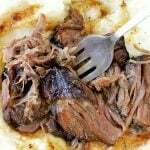 What are some of your favorite beef recipes to fix in your slow cooker? I’d love to hear from you in the comments! 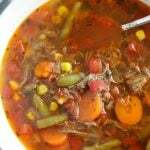 Measure the inside of your slow cooker. I used a 6-quart oval slow cooker and the widest part of the crock was 8-inches. 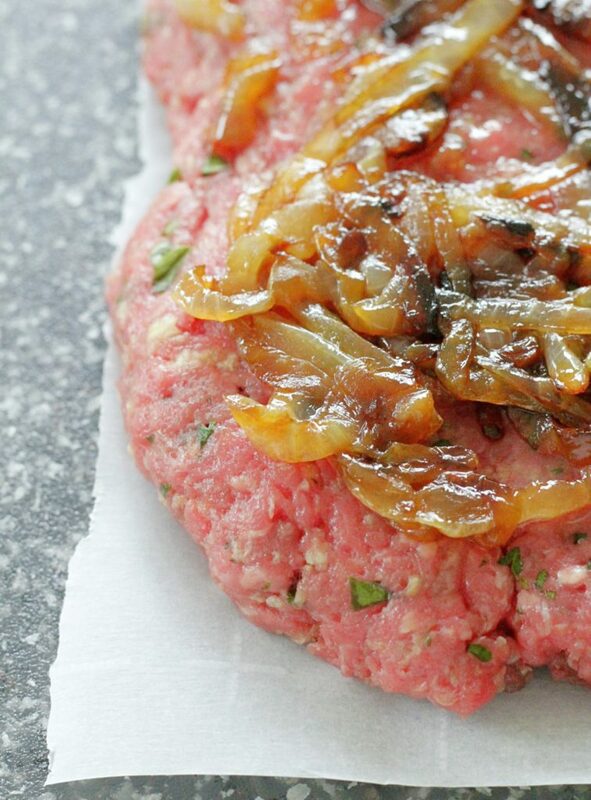 Cut a piece of parchment paper for the purpose of folding your meatloaf, about 8x14 inches. Set aside. Heat a large, non-stick skillet over medium heat. Melt the butter in the hot skillet. Add the sliced onions, stir to coat with the melted butter, and reduce the heat to medium-low. Cook, stirring occasionally, until the onions are browned, about 20 minutes. Add the sugar in the last minute of cooking. Remove the onions from the heat to cool a bit. 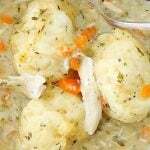 In a large bowl, whisk together the eggs, Panko bread crumbs, parsley, Worcestershire sauce and salt. Add the ground sirloin and use a fork or spatula to mix the egg mixture evenly into the meat. 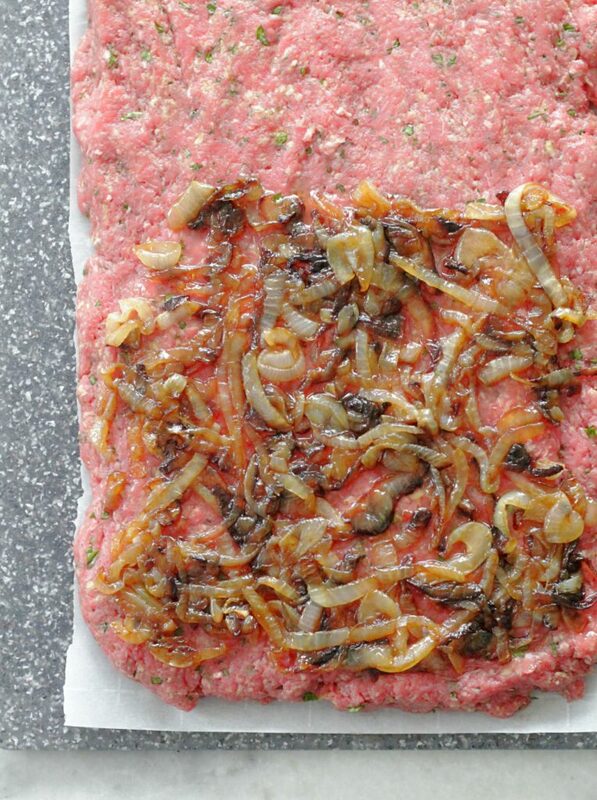 Spread the meatloaf mixture in an even layer on the prepared parchment paper with one of the short ends facing you. Spread the caramelized onions evenly along the bottom of half of the meat mixture. Fold the meatloaf like a business letter. Fold the bottom third (covered with onions) up and then fold the top third (not covered with onions) down so the meatloaf is rolled up and the onions are inside. Press the ends in gently to seal. Cut another piece of parchment paper 8-inches wide but about 24-inches long so there is enough overhang for "handles". 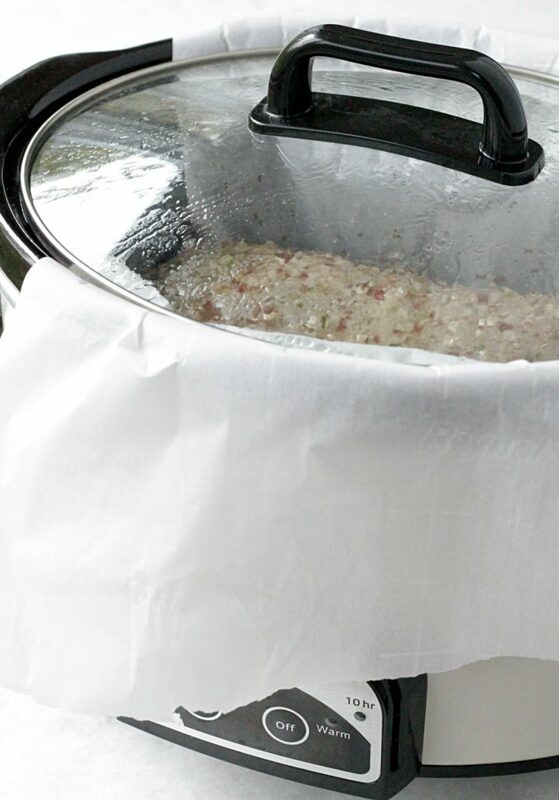 Line the slow cooker with the parchment paper. Gently place the meatloaf on top of the clean parchment paper and place the lid on. Cook on LOW heat for about 6 hours, or until the internal temperature of the meatloaf reaches 160 degrees. 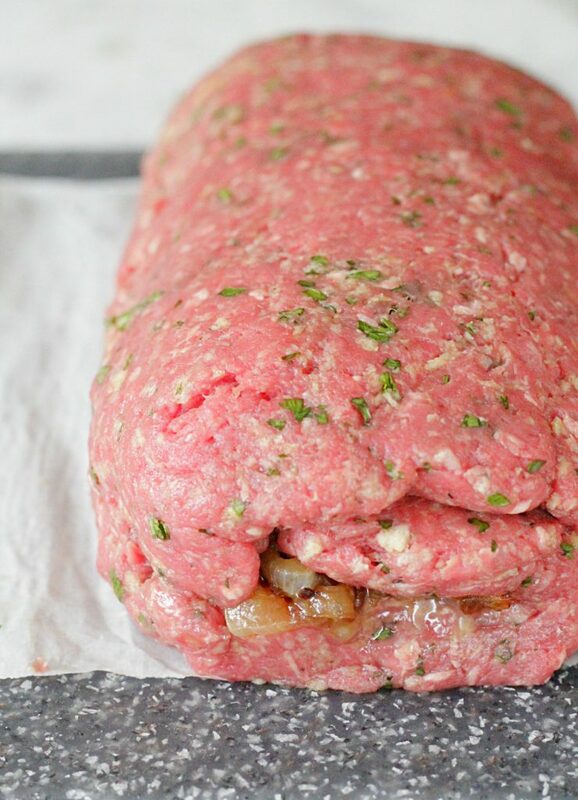 Carefully lift out the cooked meatloaf with the parchment paper and place both on a baking sheet. 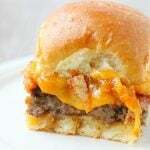 Top the meatloaf with the shredded mozzarella cheese. Broil the meatloaf in the oven on HIGH for a few minutes, just until the cheese on top is starting to brown and get bubbly. Allow the meatloaf to rest a few minutes then slice and serve. WHAT?!?! OMG this is my kind of dinner! I’ve never made meatloaf in a slow cooker and now I’m kicking myself! 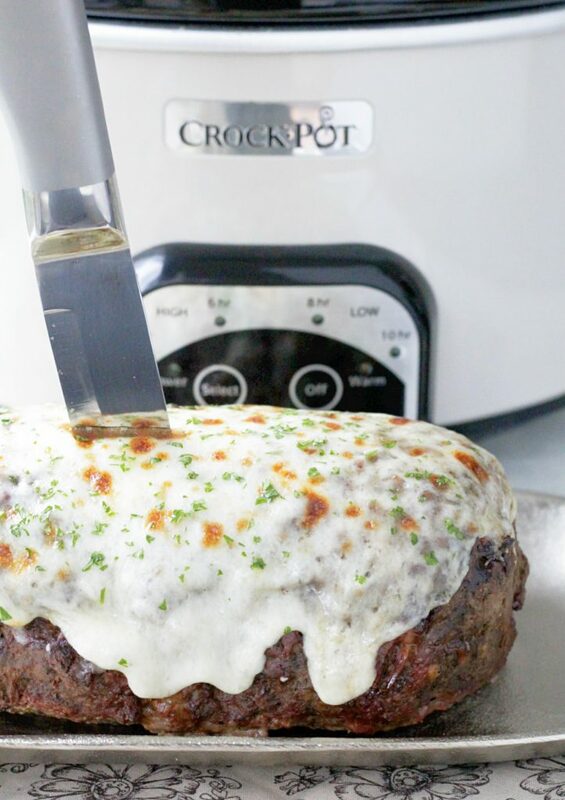 Never thought about the slow cooker for meatloaf. Great idea! Oh wow! I love that cheese on top. I haven’t pulled out my slow cooker in a few months. Definitely need to for this! 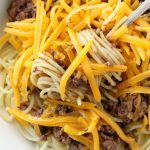 Great idea to use the slow cooker for this! I love the flavours of French onion soup. 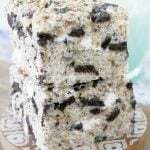 Oh this absolutely delish! 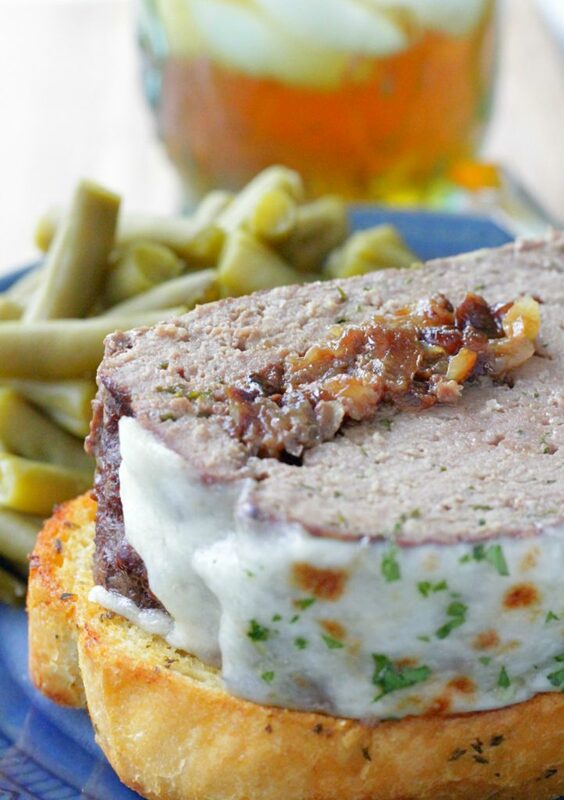 There is nothing more comforting than meatloaf! Totally agree. I hope you try it!